Does anyone know what`s going on here? 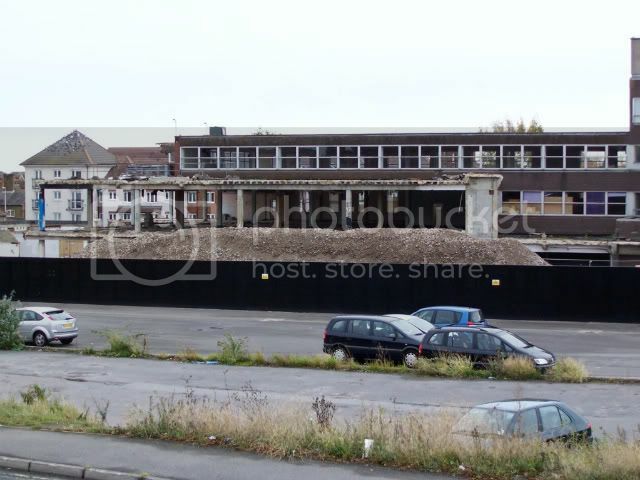 Demolition began a few months ago to make way for a Travelodge but appears to have stopped. It has been said that the halt was temporary as the `services` had to be disconnected. Surely disconnection would have taken place before any demolition began!